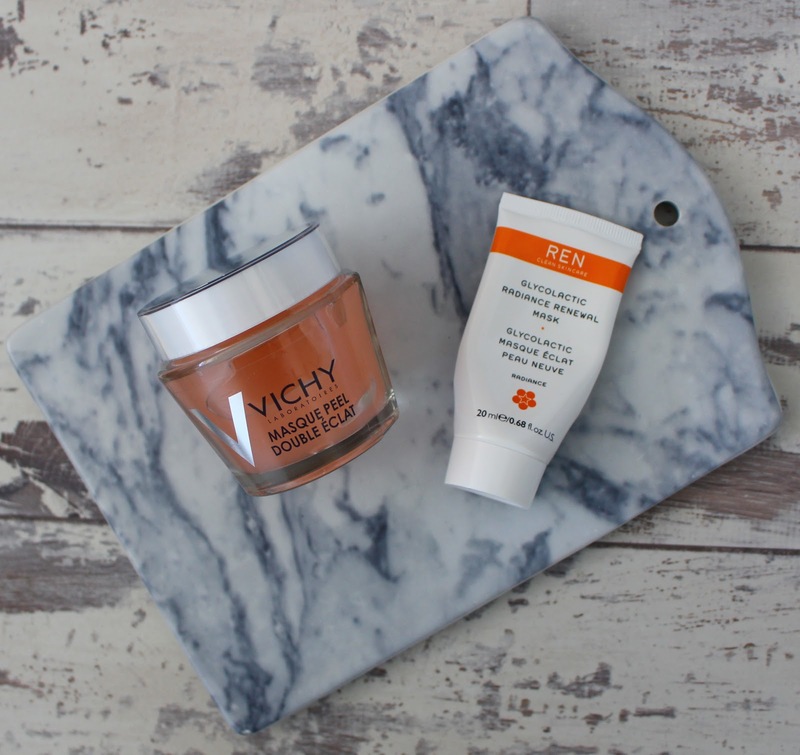 After reviewing the Vichy Double Glow Peel Mask (£14), I thought it would be useful to do a comparison with the REN Glycolactic Radiance Renewal Mask (£32). Both are very similar, but the Vichy is half the price. Both masks contain AHAs from fruits which remove dead skin to reveal smoother more radiant skin. The textures are very similar, both quite jelly like, but I definitely prefer the Vichy texture. It feels lighter on the skin and is a bit more cooling making the mask a little more gentle and soothing. The main difference between the two is the fact that the Vichy mask is a double exfoliant as it contains AHAs and a physical exfoliator in the form of volcanic rock, so you get more for your money. That being said, I personally find the REN mask more effective. My skin feels smoother using the REN compared to the Vichy. That's not to say the Vichy one is bad, I think it's better suited at sensitive skin. If you want something a bit more intense then I recommend the REN mask. It really is a matter of preference. If you want to try out a chemical exfoliating mask, but you're a bit nervous, definitely go for the Vichy. It's less of an investment and is also more gentle than the REN mask.